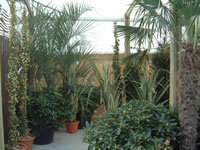 Just a selection of the plants available from Saxon Plants. For our full and up to date availability list please contact us or download our Plant and Product list Order Forms. Grown mostly in 10/20L pots with a new range of 35/40L pots full std trees for good screening over 2m fencing. varieties inc. Acer, Betula, Malus, Prunus, Salix, Sorbus and Fruit trees. 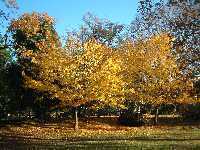 We also supply to order a wide range of bare-root Ornamental and Fruit trees through the autumn / winter. Stocking a large range all year round we hope to enable one stop shopping for all your needs. New plants are added year on year inc. Abelia, Camellia, Ceanothus, Cistus, Cordyline, Euonymus, Hebe, Ilex, Lavandula, Olearia, Phormium, Pittosporum, Skimmia and Viburnum to name but a few. This range of plants seems ever more popular with new homeowners with lots of fences and wall to cover. Fast selling lines include Clematis species and hybrids, Hedera, Jasminum, Lonicera, Parthenocissus, Solanum and Wisteria. Have had a bad press! Great range of colour, form and texture mostly evergreen and with many giving good ground cover this range of plants should not be overlooked. With the best part of 250 varieties available in containers from October through to late spring the range of colour and forms are immense. We grow bush, climbing and rambling, ground cover and patio, shrub and species and several types of standards. Supplied mainly in 1L x 8 to a tray and 2L pots this range of plants seem as popular as ever. Lots of new introductions and great old favourites including Agapanthus, Anemone, Aster, Astilbe, Bergenia, Delphinium, Euphorbia, Geranium, Helleborus, Heuchera, Hosta, Lupin, Paeonia, Pulmonaria, Sedum, Sisyrinchium, Tradescantia and Verbascum. What can I say, just can't grow enough of these popular plants. Lots of Architectural value with the Grasses. best to order in advance with some of the varieties. Many people now require more mature plants for an instant effect in borders and on the patio. So we have selected a range of plants for this purpose including Acer palmatum, Camellia, Cordyline, Ilex, Palms and Phormium. We are always looking for the new and unusual and some times you come across a plant worth stocking. Abelia s. Saxon Gold was introduced late spring 2002 from a sport found in the owners own Garden. 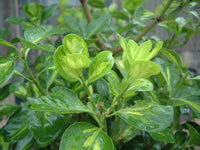 In 2006 we have introduced a new Euonymus 'Golden Anniversary' to celebrate the Partnerships 50th year of trading. This also was found on the nursery and has been in development since 2003. Growing a full range of box and pot bedding, basket/patio plants in 9cm pots and Pelargonium, Fuchsia, New-guinea imps and Dahlietta in 12cm pots or larger for spring/summer sales. With Cyclamen, Poinsettia and Primrose crops complementing the autumn bedding.